Thanks to Lexington Law for sponsoring this video and post. Unfortunately, my family is all too familiar with identity theft and having a credit card (or two) opened up in our names. Let me tell you, it’s not only frustrating and feels like an invasion of privacy, but when you don’t know what to do it can feel like an exhausting process. But, I’m here to help make this easier and let you know that you’re not alone. 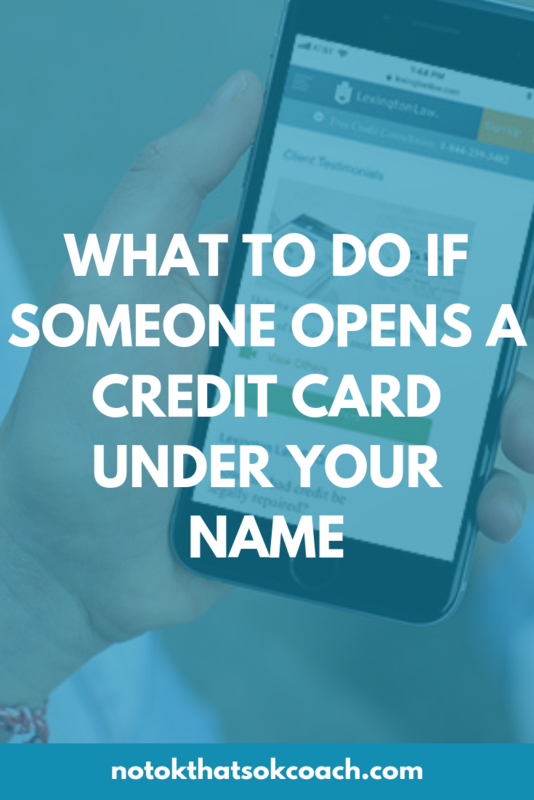 Here’s a step-by-step guide of what you need to do if a credit card is opened in your name. Sometimes a credit card company will call and ask you about their credit service and other times, you’re blindsided with a bill of a card you’ve never opened. When this happens, pull your credit report for free at annualcreditreport.com before you respond. You want to make sure that this isn’t a scam and they really are who they say they are. Double check that this card was opened and see if there are any other cards that you never opened. Reach out to the credit card company and let them know this was opened without your consent. They will report it as fraudulent account to the three credit bureaus, but you should also contact them to let them know it is inaccurate. Once one of the bureaus receives a notification, they are required to report it to the other two. Each credit card company operates a little differently and they will send you a notification of what they have done about your request to close the card. It might be a letter mailed to your address or an email. In their notification will be any necessary next steps for you to complete. Sometimes, it an online form or additional paperwork. Monitor your credit. Sometimes this is a one-off occurrence but often times there can be more than one card opened under your name. Lexington Law offers a credit monitoring service where you can communicate with staff by phone, email and an app. If you’re still looking for help in this process, Lexington Law has advisors that work with you step-by-step and has free credit education on their site. They will be your advocate to help resolve any issues that you have so you’re not in the process alone. Trust me, it can be frustrating, and the key is to be on top of it as soon as possible.